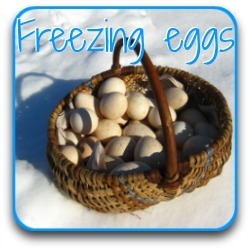 Storing eggs - two burning questions and two great solutions. 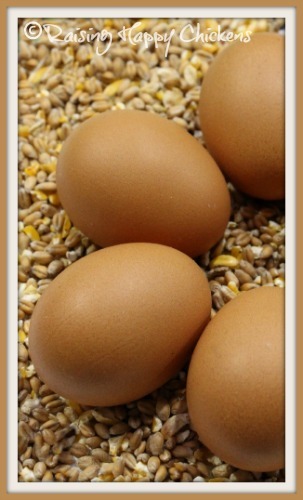 Storing eggs - two burning questions and two storage solutions not to miss. 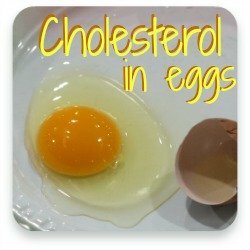 Should eggs be washed before storing? 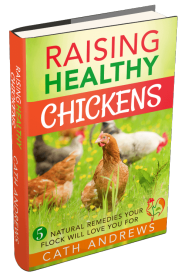 New to keeping chickens? 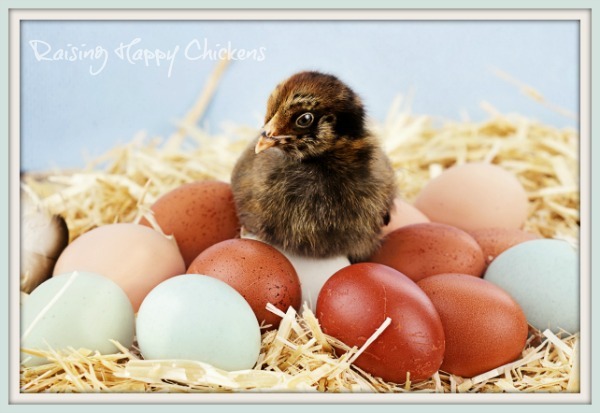 This is a question you need to ask yourself before your hens start laying. If you don't, the chances are you'll find yourself with a lot of eggs, and you won't know what's the best way to store them. If you've been keeping chickens for a while, you'll know it's a question about which many people have many different views - all of them very strongly held. I use verifiable sources for the information I present here, not just my own views - but there's really no right or wrong answer, only what's right for your circumstances. This issue is something you need to be comfortable with for yourself. I'm happy with the way I do it, I have evidence to back up what I think, and I'll tell you what I do - but my solution may not be the right one for you. In this article I'll tell you what the evidence says, and I'll look at the pros and cons. And then, armed with good information, you can make the decision for yourself. This is quite a long page. Here's what's covered. Click on any of these links to go straight to that part. Backyard eggs - do they need washing before storing? Store bought - to wash or not to wash? 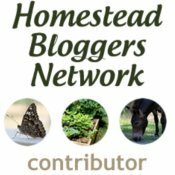 Refrigeration - is it necessary? The evidence. Should you be storing your own eggs in a refrigerator? How best to use the refrigerator for storage. How to store at room temperature. Should backyard produce be washed before storing? 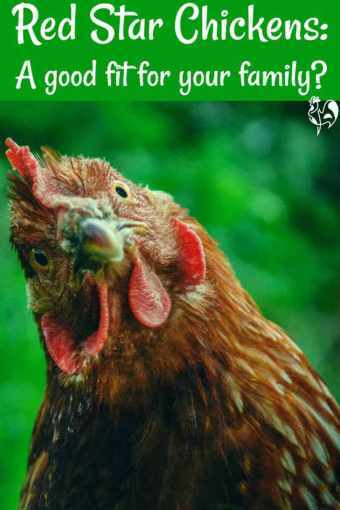 Chickens are clever. They know how to protect their potential chicks from bacteria. 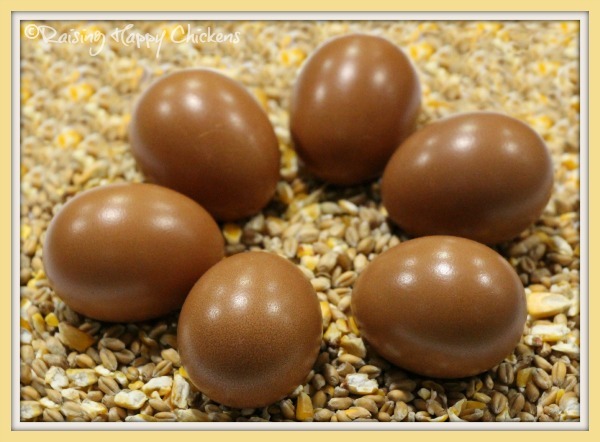 So all freshly-laid eggs, whether fertile or not, are covered with a natural 'bloom' - a thin, protective layer which is added to the shell as it travels through the hen. It acts as a defensive barrier. The technically correct word for it is 'cuticle' and it works by sealing the shell's pores and preventing air from penetrating. It's nature's way of protecting the chick from bacteria. If it's washed off, the egg is left less well protected. Although the membrane inside the shell offers an extra layer of protection it's not as effective and bacteria are more likely to seep through. 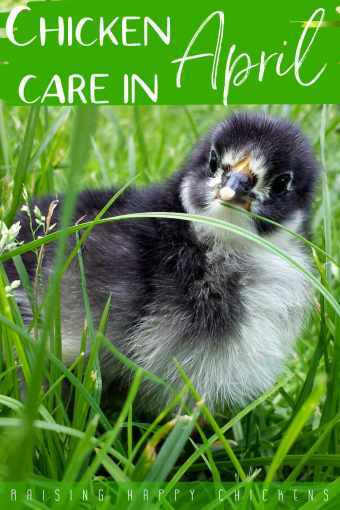 With your own backyard chickens there really should be no need to wash your eggs before storing, as long as you keep your nest boxes and coop clean. If your girls lay outside of their nesting boxes and there's some dirt (mine occasionally lay in the compost heap!) just wipe gently with a dry cloth if it worries you, and make sure you use those before others. No. Commercial operations use a chemical washing process to meet hygiene regulations. The shell is then covered with a very thin waxy layer which aims to reproduce the bloom. So there's no need at all to wash them - in fact washing will remove the wax. To refrigerate or not? The evidence. 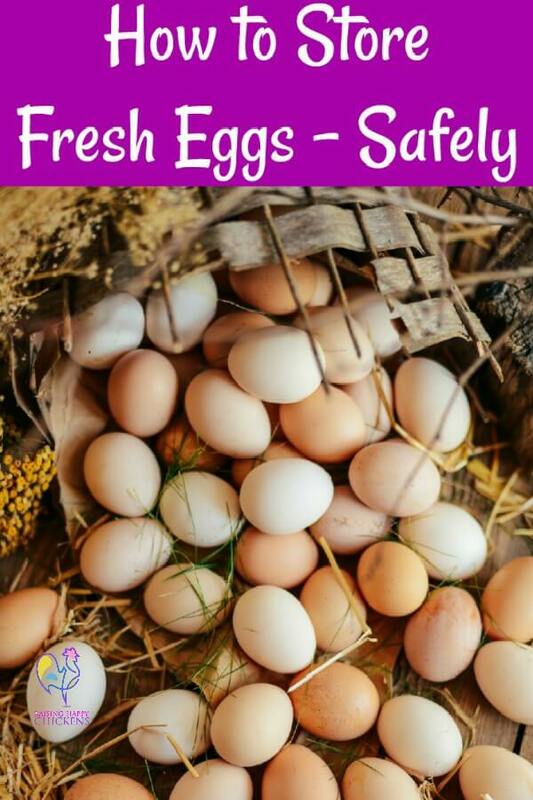 You'll see a lot of advice from various organisations, including the British Egg Information Service and America's Department of Poultry Science that eggs should be kept in a fridge. And you'll see just as much advice saying there's no need. 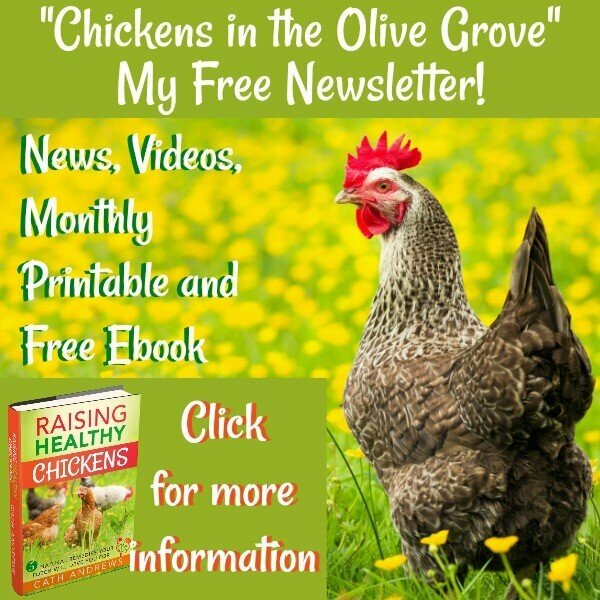 It's a debate which has raged for years in the cooking, health and backyard chicken communities and it can be very confusing. But in September 2013 a study was carried out by Food Test Laboratories in the U.K. on behalf of a daily newspaper. It compared two groups of store-bought eggs over a period of two weeks. One group was kept refrigerated and another stored at room temperature. Both sets were tested for various strains of bacteria including Salmonella and Listeria. The tests were carried out at the beginning of the study, after one week and finally at the end of the study at two weeks. Perhaps surprisingly, there was no difference at all in the two sets of results. None of the whites or the yolks, either refrigerated or at room temperature, showed any signs of bacteria at any stage of the study. 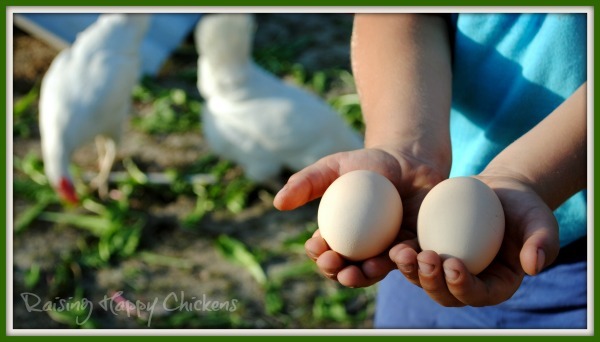 Should your own chickens' eggs be refrigerated? Based on evidence from that study, there is no reason whatsoever to refrigerate eggs laid by your own hens. Eggs sold in most European supermarkets are not kept in fridges - and they're nothing like as fresh as eggs from your own hens. It's a fact that the same bloom which protects from bacteria also prevents moisture from evaporating. So a shell which has its bloom intact really doesn't need to be kept in a fridge. Storing at room temperature is perfectly fine. In fact, chefs like the world famous Raymond Blanc feel that storing freshly laid eggs in the fridge is not only unnecessary but can alter the taste when they're cooked. Here, you can see the 'bloom' very clearly. There's no need to refrigerate. However, if you've had to wash your eggs for any reason, storing them in a fridge will keep them fresh for longer. Make sure you use any damaged ones first. If you're going to refrigerate, please - don't use the door! 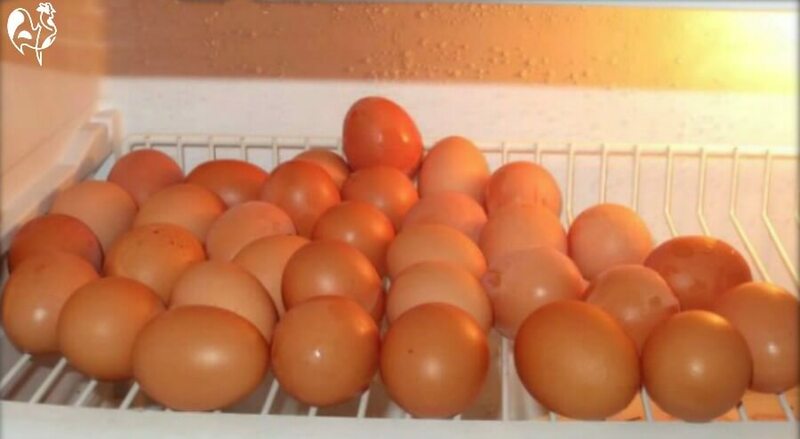 Most fridges are sold with an egg rack which is generally located in the door - but that's not the best place. The door constantly opening and closing shakes them and with every shake the egg deteriorates as the white becomes a little thinner. So if you decide to refrigerate, storing them on a shelf is best - but make sure you know which are the fresh ones. This is what happened to mine when I first kept chickens and before I realised I didn't need to refrigerate. Chaos! I had no idea which were fresh and which were older and because they weren't separated, several got smashed. How to store in a fridge. The best way of storing in a fridge is on a shelf in a labelled container. Ordinary cardboard cartons tend to disintegrate easily, and can also harbour more bacteria. But never fear! - there are several plastic containers on the market. I don't use these now, because I keep all mine on my counter top. But this one is particularly good. It's made from a strong resin and holds up to 14 extra large eggs. I use it when transporting some of my own eggs to give as gifts, or when carrying and storing fertile eggs for hatching. Clicking here or on the image will take you to your Amazon store where you can buy it direct. I'm proud to recommend it as an affiliate link - click here to find out more. Click the pic to buy this strong storage box. One of the things I like most is that it's strong enough to be able to store other things on top - or to stack more than one if you find you have too many. On the downside, there's no way of telling with this container which are the freshest. The only way to do it is to move them by hand when a new batch is put in, or to have more than one container. Make sure, if you do buy one, that you store with the the pointy end down, otherwise you'll find it hard to take them out of the container - particularly if they're on the small side. 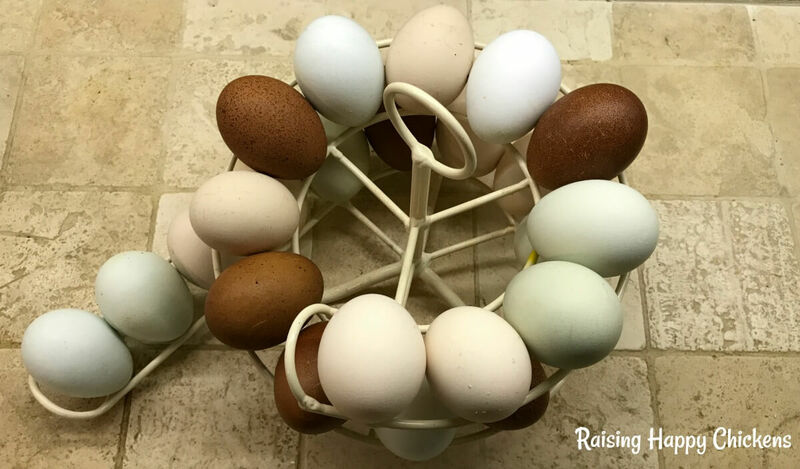 I'm proud to display my hens' eggs on my counter-top and the Egg Skelter is a great way of doing it. I love the different colours and sizes - visitors always comment on them! This is how I do it now - in style! Click the pic to read my review of the egg skelter. I discovered the Egg Skelter when I was looking for a storage solution for my eggs, which I don't refrigerate. It looks great and it keeps them in order of freshness. I love it! I've written a full review of the Egg Skelter here which looks at both the positives and the (very few) drawbacks, and tells you how you can buy it. 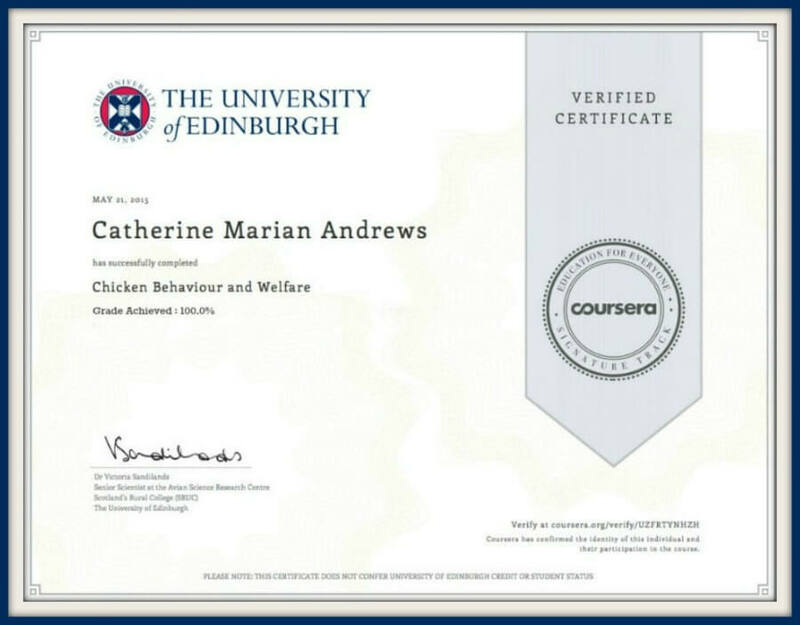 I work hard to provide you with information that's accurate and based in verifiable evidence. Here's two of the resources I used for this article. 'Egg shell quality and how to preserve it'. Koelkebeck; Univerity of Illinois, undated. 'Effect of various refrigeration temperatures on the quality of shell eggs'. 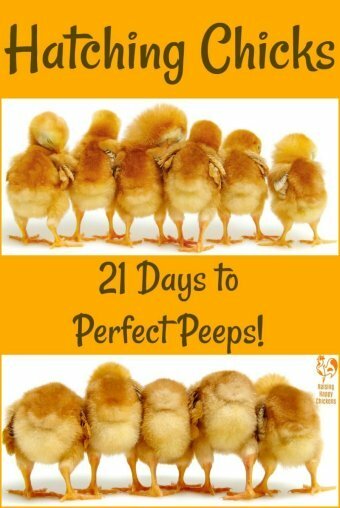 Shin, Narciso-Gaytan et al; Department of Poultry Science, University of Texas; 2012. 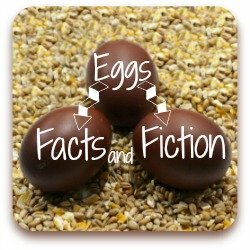 Here are some of my most popular articles about eggs. Click on of the pics to go there. And - enjoy! 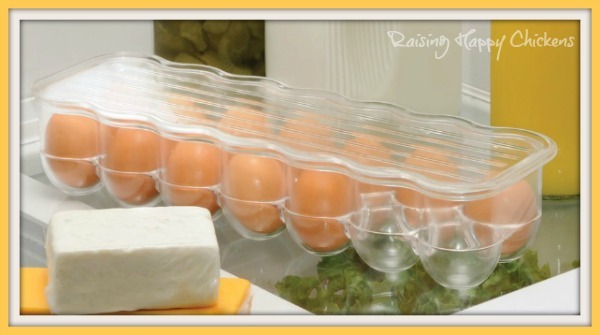 Do you have a different way of storing eggs?